The Oromo are Ethiopia’s largest ethnic group but have long complained of political and economic marginalisation at the hands of the country’s ruling party, which is dominated by a minority ethnic group, the Tigrayans. Following 2016 protests demanding political reform, which resulted in a state of emergency and the deaths of more than 600 in the security crackdown, thousands of Oromo made their way to neighbouring Kenya seeking asylum and refuge. But they did not escape the Ethiopian authorities. Human Rights Watch has reported “numerous cases of harassment and threats” against Oromo asylum seekers in Kenya by Ethiopian government officials. The rights group has also documented “confessions” by Kenyan police officers in which they admit to being offered bribes by the Ethiopian embassy to detain and intimidate Oromo refugees. “When I came to Kenya I thought that I would be protected and would be able to start a new life,” said former Oromo politician “Tolessa”, who requested his identity be protected. 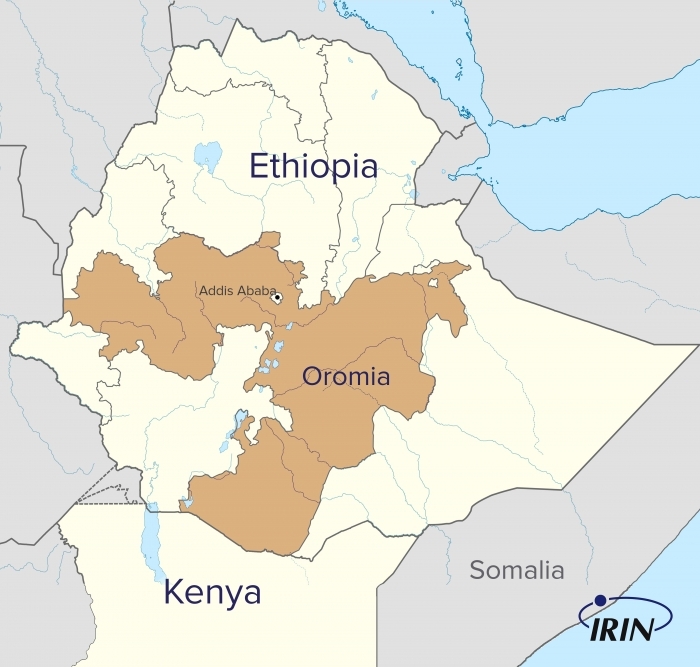 Oromo refugees also reported attempts by Ethiopian officials to recruit them as informants in Nairobi’s Oromo community, promising land, protection, money, and even resettlement to the United States or elsewhere, Human Rights Watch noted. “There are a lot of Ethiopian spies here in Nairobi,” one refugee, a former Ethiopian intelligence officer, alias “Demiksa”, told IRIN. Now a senior dissident, “Demiksa” related what had happened to him back in Ethiopia. He said that after refusing orders to torture prisoners held in Addis Ababa’s infamous Maekelawi prison, he was accused of being an opposition collaborator, detained, and then tortured himself. “They tied my hands up and hung me up on the wall with nails and beat me with electric cables around my ankles and on my back,” he told IRIN, fighting tears. “I couldn’t walk for three months,” he added. “Demiksa” said he was spared capital punishment on one condition: kill or be killed. Handed photographs of two prominent Oromo activists, he was given a loaded gun and told to get into a car. He accepted the mission – “I had no choice,” he told IRIN – but was able to escape en route to the hit, and then fled Ethiopia. When he arrived in Nairobi, “Demiksa” was told to register at the Kakuma refugee camp in northern Kenya like all other Ethiopian exiles. But Oromo who fear being stalked by Ethiopian intelligence believe even Kakuma is not safe. “Threats from Ethiopian security officials – working together with local [Kenyan] police – also extend to the refugee camps [in Kenya],” Human Rights Watch researcher Felix Horne told IRIN. Horne said Oromo activists who have come from cities in Ethiopia fear camp life because of the lack of employment opportunities, the heat, and Kakuma’s physical proximity to Ethiopia. But they have darker fears too. Oromo refugees have reportedly been kidnapped from Kenya and taken back to Ethiopia, and there have been similar reports from Sudan, Djibouti, Uganda, and Somaliland. Tariku Debela, a political refugee living in Kampala who fled Kenya in April 2016, still remains a target for Ethiopian security forces. He told IRIN that his scars bear witness both to the torture he received in Ethiopia and an attempt on his life in Uganda. A Ugandan police investigation revealed “that the men who attacked me were sent from Ethiopia to kill me,” he added. After imploring the UN refugee agency several times to offer him protection, Debela now stays in a UNHCR safe house, but doesn’t get much else in the way of assistance. UNHCR has a mandate to provide protection to refugees, including political figures like “Demiksa” and Debela. “The documentation issued to them by the government and UNHCR gives them the right to reside legally in Kenya and protects them from deportation to their country of origin or expulsion from Kenya,” Yvonne Ndege, senior communications officer at UNHCR, told IRIN.“There are some high-profile cases, such as the Oromo; sometimes their cases are expedited through the registration process,” she added. But some say this policy exists only in theory. Kenya has an encampment policy – refugees are supposed to stay in one of two vast refugee camps that house 489,000 people: Dadaab and Kakuma. That means those found in urban centres without proper documentation are vulnerable to extortion and intimidation by the police. Refugees IRIN spoke to in Nairobi mentioned regularly having to pay bribes to avoid harassment. The going rate is up to $200 for a permit to avoid being sent to Kakuma. Life for those who can’t afford to pay is bleak. “Because I don’t have my papers I stay at home so that I can be safe from police,” teenager Fozia told IRIN. Fozia fled Ethiopia following a brutal crackdown on students in her hometown in Oromia. After student protesters dispersed, she says police followed her home, then raped and beat her. She decided to flee. Despite coming to Kenya as an unaccompanied minor, Fozia hasn’t been helped by the authorities. Without the ability to bribe registration officers at Nairobi’s government-run refugee registration centre, Shauri Moyo, she can’t officially register with UNHCR for refugee status determination. “I was given a movement pass to Kakuma, but I feared going there, especially as a young girl,” she explained. Neither can Fozia afford to bribe officials to gain an all-important exemption permit that would allow her to legally avoid going to Kakuma. “Without that, I’m told by UNHCR to either go to Kakuma or register for exemption at Shauri Moyo,” she said. Many other refugees face the same hurdles. “I still haven’t received exemption,” another former Oromo politician and victim of torture in Maekelawi who preferred to remain anonymous, told IRIN. Following registration with Shauri Moyo, refugees can then apply for a government of Kenya “alien card” for asylum recognition. But several refugees told IRIN that this process also entails under the table payments – ranging from $300 to $485. Such allegations of corruption and extortion are denied by Kenya’s Refugee Affairs Secretariat, known as RAS. Once refugees are able to access asylum, their cases are referred to UNHCR for refugee status determination, which is necessary for official recognition as a refugee. But many refugees are having to wait years to even get an interview. She went on to explain how they typically just give you another appointment letter with a different date and year and tell you to wait. Recognising these concerns, the UN refugee agency insisted it is committed to improving the registration system. “UNHCR is concerned about the time being taken for asylum seekers and refugees to receive proper documentation,” UNHCR’s Ndege told IRIN, adding that it was working to streamline its registration processes. But Horne from Human Rights Watch said neither UNHCR nor RAS are doing enough right now to protect vulnerable Oromo. “Country guidelines on Ethiopia that officers use to assess asylum claims should be updated as they are over 10 years old and do not remotely reflect the current situation in Ethiopia,” he said. Oromo opposition to rulers in Addis Ababa stretches back centuries. The current ruling party, the EPRDF, has used federalism to dilute that dissent, but it has persisted. 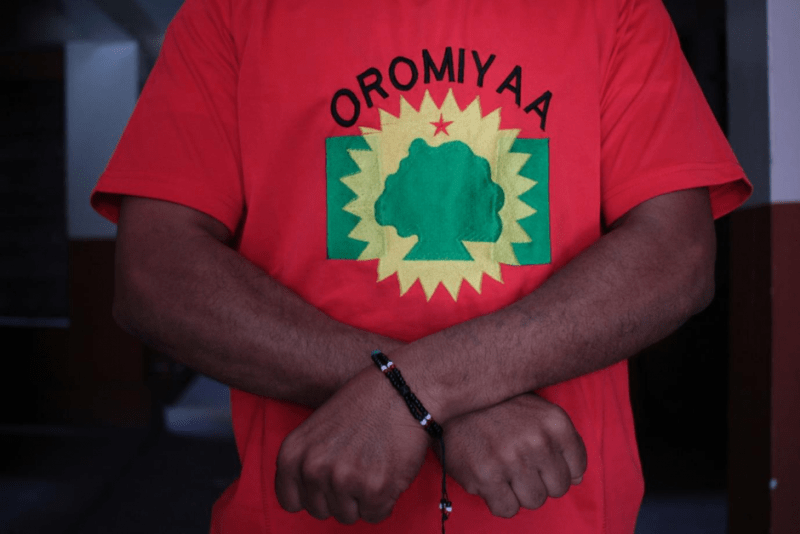 In the unrest in 2016 and 2017, the Oromo were joined by the second largest ethnic group, the Amharas, in the demand for political reform – posing a significant challenge to the government. In a surprise announcement at the beginning of the month, Ethiopian Prime Minister Hailemariam Desalegn announced that his government would close Maekelawi prison and release political prisoners in a move he said would advance political dialogue with opposition groups. “The regime realises that the political landscape is shifting rapidly and that they have to find a way forward to deal with ethnic tension and communal violence,” Ahmed Soliman, associate researcher at Chatham House, told IRIN. But this all depends on how sincere the government is on reforming and its willingness to admit the violations it has committed – including in neighbouring countries.